Aug 2016 Follow-up on previous assessments. Atmospheric Dynamics, Temperature Displacements, Atmospheric Mixing (by Diego Fdez-Sevilla, PhD.) | Diego Fdez-Sevilla, PhD. Posted on August 26, 2016	by Diego Fdez-Sevilla, PhD. From my point of view North America is seeing similar developments which have had, and still are, occurring in Europe. And those are related with the composition of the atmosphere (ref1) and ocean/continental contrasts(ref2) than solar forcing (ref3 and category Solar Activity). Globally, both dynamics observed in the NH describe movements of masses of air “carrying” heat into northern latitudes (and altitudes) (ref4 and ref5). Based on previous research shared in this blog (ref6), my assessment is that the Equator is amplifying (ref7) the effect of having the Arctic absorbing the added heat being displaced from mid-latitudes (ref8). Altogether, I believe that the present patterns seen are related with the dynamics avoiding the concentration of energetic atmospheric events in form of hurricanes, etc. (ref9). The implications of seeing those dynamics repeating in the recent years are part of the discussions addressed in the publications shared in this blog. I believe that all of them are representative of a global assessment performed with independence, and with conclusions persistent over time despite the distance between the day of publication and the present day 26 Aug 2016 (ref10). Peer review publications are starting to appear supporting the assessments presented in the line of research published in this blog (ref11). And the atmospheric events being unfolded through 2016 (ref12) until the present seem to add value to those assessments previously addressed. Verification by contrast between Recent atmospheric events and previous assessments referenced between brackets. Three historically unprecedented droughts in landfalling U.S. hurricanes are presently active.A major hurricane hasn’t hit the U.S. Gulf or East Coast in more than a decade. A major hurricane is one containing maximum sustained winds of at least 111 mph and classified as Category 3 or higher on the 1-5 Saffir-Simpson wind scale. (Hurricane Sandy had transitioned to a post tropical storm when it struck New Jersey in 2012, and was no longer classified as a hurricane at landfall, though it had winds equivalent to a Category 1 storm.) The streak has reached 3,937 days, longer than any previous drought by nearly two years. The tropical Atlantic Ocean is buzzing with activity and one disturbance, in particular, could strengthen and strike Florida in six to eight days. It could even become a hurricane. The disturbance, known as 99L, is several hundred miles east of the Leeward Islands and headed westward. It is forecast to reach the Virgin Islands and Puerto Rico in the next one to two days where it is likely to unleash heavy rain and strong winds. The main concern is what happens to it after it passes the islands and continues to the west and northwest. It will then enter very warm waters and atmospheric conditions more favorable for strengthening. Many forecast models now project this disturbance will head toward the east coast of Florida or just a bit to the north. “Models are starting to agree more on a tropical cyclone near south-to-central Florida in the Sunday to Tuesday time frame,” says Brian McNoldy, Capital Weather Gang’s tropical weather expert. But it’s not at all clear how strong it will become. Some models forecast the disturbance may strengthen little while others project it will become a hurricane, even a strong one. For example, the European model predicts the disturbance will rapidly develop near the northern Bahamas this weekend, and make landfall in south Florida Sunday night. The GFS model, on the other hand, does not develop the system. So it is not a sure thing a significant storm will strike the coast, but the possibility of a disruptive event looms. John Morales, chief meteorologist from the NBC affiliate, countered it’s too soon to sound alarms. “At this formative stage nobody knows what 99L will do,” he tweeted. Should the disturbance strengthen into a hurricane and strike Florida, it would end a record 10-year hurricane drought in the Sunshine state. Increment in the role of atmospheric Water in energetic weather events (Ref12). A few days ago on my way to Traverse City, along Hill Road near Rapid City I spied stacks and stacks of timber recently extracted from the local forest. These are the remains of mature trees mowed down by a derecho storm  that hit Michigan on August 2, 2015. The US Weather Service issued 17 warnings that day and recorded a 4.25 inch ball of hail near West Branch, the largest since records began in 1950 . One hundred mile per hour winds accompanied by over two inches of precipitation extensively damaged forests and private properties, with estimates at $29.7 million in Leelanau and $15.4 million in Grand Traverse counties . Many large trees were uprooted in scenic Glen Arbor near Sleeping Bear Sand Dunes on Lake Michigan, and local farmers suffered a heavy toll. The devastation was so extensive that our Governor declared a “state of disaster” in the region . Glen Arbor is now back to normal but many fallen trees are still strewn on the landscape, and memories are etched with images of that dramatic storm. I grew up in Michigan and there are plenty of stories to tell about severe weather events, driving rains, tornadoes, and deep snowfalls. But it is different now. In fact, precipitation events in the U.S. are often more intense than in the past. Scientists have examined changes in precipitation patterns in the U.S. documenting both increased levels of total precipitation and storms that deliver much more water than normal , . The 2014 U.S. National Climate Assessment addresses this issue stating, “Heavy downpours are increasing nationally, especially over the last three to five decades. Largest increases are in the Midwest and Northeast. Increases in the frequency and intensity of extreme precipitation events are projected for all U.S. regions” . The National Climate Data Center at NOAA provides a useful online tool to explore regional variations – the U.S. Climate Extremes Index . Using the Index, Figure 1 (below) shows that in the Upper Midwest a much greater than normal proportion of precipitation is derived from extreme one day events (defined as the highest 10% of occurrences of cumulative daily precipitation) . Some of the 24-hour rains that fell on Friday in Louisiana (ending at 11AM CDT/16UTC) had a recurrence interval at over 500 years, according to Metstat. Topping the list of phenomenal rainfall amounts catalogued by the NWS Weather Prediction Center for the period 6:00 am CDT Tuesday, August 9, 2016, through 9:00 am CDT Sunday was 31.39” near Watson, Louisiana. The storm system responsible for the record rains formed a distinct surface low just inland along the Alabama coast on August 11, with a central pressure of 1013 mb. By August 13, the low had drifted over northwest Louisiana, and intensified to a central pressure of 1007 mb. Like a tropical depression, the low had a warm core, and the counter-clockwise flow of air around the storm brought huge amounts of tropical moisture from the near record-warm waters of the Gulf of Mexico and northwest Atlantic northwards over land. The amount of moisture in the atmosphere over the Gulf Coast region over the past week has been nothing short of phenomenal. Over multiple days, soundings of the atmosphere collected by weather balloon from locations such as New Orleans have measured record or near-record amounts of precipitable water (the amount of moisture in the atmosphere over a given point), often in the 2.5” to 2.75” range; sounding data extends back to 1948 in most cases. Sunday morning’s precipitable water of 2.61” in Lake Charles, LA, was among the top-ten values on record for that station. Three-day precipitation totals ending at 10 EDT Sunday, August 14, 2016 showed several areas of 20+ inches had fallen over portions of Louisiana. Image credit: NOAA/NWS. Projected rainfall from 12Z (8:00 am EDT) Sunday, August 14, 2016, through 12Z Wednesday. Image credit: NOAA/NWS/WPC. Separate from the heavy rain along the central Gulf Coast, a band of sometimes-torrential rain has pulsated over the last several days along a pre-existing frontal zone along and north of the Ohio River, stretching roughly from Arkansas to Ohio. This pattern bears some of the fingerprints of a PRE—a “predecessor rain event.” As we noted in a post last October, PREs tend to develop along preexisting frontal boundaries a few hundred miles north of landfalling tropical cyclones, as prevailing winds funnel huge amounts of moisture northward from the cyclone and concentrate it along the frontal zone. One challenge with such events is nailing down the location of the frontal zone, which can oscillate north or south as a multi-day PRE unfolds. Late Sunday into Monday, the Gulf Coast low itself will begin migrating northward along the frontal zone, further raising the possibility of flooding rains. Flash flood watches extended on Sunday morning along a belt from northern Arkansas to extreme northwest Pennsylvania. On Friday, torrential rains put a damper on the Illinois State Fair at the state capital, Springfield, where an all-time calendar-day rainfall record was set with 5.59” (beating 5.44” from September 8, 1926). Of that total, 3.44” fell in just one hour. Although some events had to be cancelled or rescheduled, no injuries to people or livestock were reported at the fair. Parts of the southwestern Chicago suburbs received 4-5” of rain on Friday. MODIS image of a strong tropical wave off the coast of Africa south of Cabo Verde as seen on Sunday morning, August 14, 2014. A large region of African dust is visible from the coast of Africa extending over Cabo Verde. Image credit: NASA. NHC was not highlighting any Atlantic tropical weather threat areas in their 5-day Tropical Weather Outlook on Sunday morning. However, two of our reliable models for predicting tropical cyclone genesis–the European and GFS models–showed that a strong tropical wave that moved off the coast of Africa on Saturday night does have the potential to develop into a tropical depression late this week as it moves west to west-northwest at 15 mph into the central Atlantic. In their 00Z Sunday runs, about 30 – 50% of the members of the European and GFS model ensemble forecasts predicted development of this system into a tropical depression late this week. When temperature become something else (ref13). Lightning. Between Wednesday 24, 2016 and this morning, thousands of lightning shook the community, the third largest figure since this phenomenon is measured. The storms that have ravaged Galicia these days leave behind an impressive number: 7,000, the number of rays that fell between Wednesday and early Thursday in various parts of the community. The majority, some 6,359, took place the 24th Aug, but also the storms of the first hours of the 25th-night made their contribution, adding, between 00.00 and 02.00, 728 to the previous thousands. 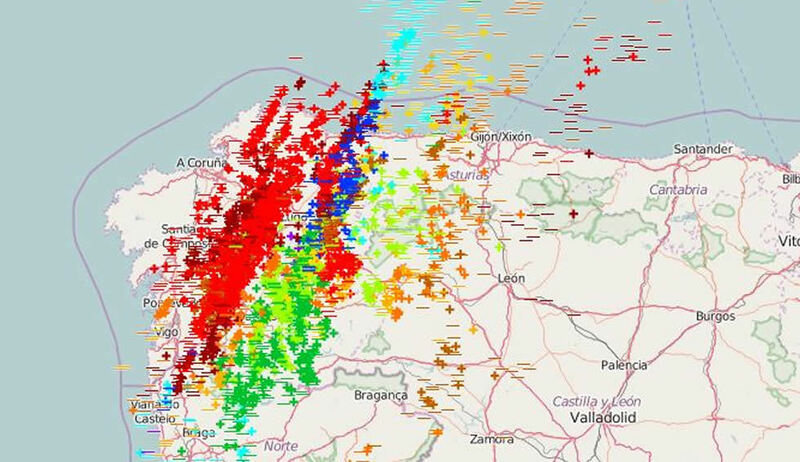 According to an expert in data Meteogalicia , Àngeles Lago, this is the “third day with more lightnings” on the Galician territory since measurement began in January 2010. And gets pretty close to the second place on record with 7.113. As it can be seen on the map, one of the most affected provinces has been Pontevedra, which received 1,586 lightnings throughout Wednesday. The implications of seeing those dynamics repeating in the recent years are part of the discussions addressed in other publications in the blog. I believe that all of them are representative of a global assessment with independence of the distance in time between the day of publication and the present. All the assessments seem to keep valid under the developments observed. However, always open for discussion. It seems to be still a subject open for interpretation so, despite of having specific posts adrresing this topic, here is mine. The structure of an stratification thermodynamically dependent (atmosphere) behaves within thresholds. Outside those, variations of factors interacyting are not relevant enough to drive changes. Water in a solid form maintains its structural integrity below 0 degrees Celsius under oscillations which do not reach above 0 degrees Celsius. You can increase radiation and induce a change in temperature between -13C and -6C and it will not affect the structural disposition of the molecules of water. However, the threshold can be altered so with the same forcing from an external source of energy you can alter the integrity of the structure. You can add impurities modifying the molecular structure of the solid water. And with it you can change albedo or chemical bonds. If the block of solid ice contains black particles, the radiation has a different impact over the irradiance performance and thermodynamic equilibrium. And similarly, if you add salt into the block of water, the molecular disposition changes, the thermodynamic characteristics of the organization gets affected and with it the threshold to maintain the integrity of the structure. Similarly to what salt does with the boiling and ice point of water, the composition of the atmosphere (greenhouse gasses and aerosols) affect its thermodynamic behaviour triggering changes in its organization and the patterns associated. Winter is what we call when cold masses of air move from the poles to mid-latitudes. The frequency, persistence, range and extension for those masses of air moving across latitudes, and the patterns described, are directly related with the composition of the atmosphere and its thermodynamic behaviour. Solar forcing is constant through time, space and surface. It reaches the Earth uninterrupted in its 50% of surface through the whole cycle around the sun. Claiming that its influence can be localized in a specific part of the Earth (North Hemisphere) and in a particular time of the cycle around the Sun (North hemispheric Winter) leaves completely unattended too many questions about the rest of the time and surface receiving the influence of the same force. The amount of questions which are not addressed by such approach, as well as from the application of the Steffan-Bolztman equation (ref14), is what it makes me to consider to leave them aside from my line of research as major driving forces. So far, all the forces and mechanisms identified and discussed in the line of research presented through this blog seem to be enough to support the validity of my work. Even considering the limitations of my research from lack of resources, and its uncertainties as part of applying innovative and original assessments. I believe that the present weather events, altogether with the tornado seen in Venice on July, represent some of the new “Drops of Weather” coming over to say that the Summer, as we know it, is coming to an end. The reason behind it seems to be the sporadic and unpredictable behaviour of the Jet stream, which not only is wobbly in latitude, but also in the vertical profile of the atmosphere. Accordingly, we can see that when it comes to lower levels from 300hPa induces alterations in the thermodynamical behaviour of the tropospheric circulation. In turn, when this cold air touches the lower level of our atmosphere, activates the energy accumulated in the Water vapour contained in it as latent heat, delivering new forms of energy; kinetic provoking strong winds, electrostatic generating lightnings and potential carried in the mass of all the water coming from its gaseous state into liquid or solid precipitation. I have already discussed what is my theory about what it is happening that it is generating such a wobbly jet stream in latitude and altitude. This theory was published in a previous post and it points out the incorporation of masses of water vapour into polar latitudes as consequence of CO2 forcing as the cause wearing out the strength of the Polar Jet Stream. I also have suggested that such incorporation of masses of water vapour into Polar Latitudes follow channels which are linked with persistent cyclonic events in the Atlantic and the Pacific. The present patterns seen in the circulation over the Pacific and the Atlantic are consistent with those proposed in this theory. Arctic Polar masses of air getting warmed up would become involved in translatitudinal circulation from the Atlantic and the Pacific through the Arctic, in a breathing like cycle. That would open a new channel for balancing gradients of atmospheric pressure between the atmospheric masses of air above both Oceans. That would explain the synchronicity between Low pressures observed in the North Atlantic and North Pacific, (more here). Most definitely, I believe that the climate in our Earth is what it lies between waters. Between cold waters and warms waters, between waters in the atmosphere or those in the ground inland or at the oceans. Altogether, our climate lies on those processes moving energy between waters in the form of gas, liquid or solid. If my approach and assessments are correct, the expectation comes with the applicability over unfolding developments. Based on those assessments I would expect to see the present 99L system to trigger vast amounts of rain without developing a hurricane conformation. Furthermore, it might become very resilient and mobile, with the capacity to move across the Atlantic basin reaching Europe with enough energy to deliver more rain, or moving at higher latitudes above the ocean. Invest 99L Finally Develops Into Tropical Depression 9 in the Florida Straits. By: Jeff Masters , 12:11 AM GMT on August 29, 2016. Meteorologists forecast the development of specific events in location and time. I am just talking about trends and expected behaviour in a global picture based on my line of research. I believe that the “disorganization” shown by the system 99L developing over the Tropic Atlantic and the erratic behaviour seen in other systems, could be described as a lack of definition/organization in the gradients of energy shaping the formation of cells as well as the lack of well defined contrasts with those in the surroundings driving their paths. The interpretation that I propose might be too simplistic and complex at the same time. With an increase in the amount of Energy being introduced in the atmosphere (energy carried by GHGs and water vapour), it becomes more difficult to build strong well defined contrasts between gradients of energy due to an energetic overcharge of the surroundings. Such interpretation increases the chances of adding into the equation an increased probability of seeing more frequently other forms of energetic discharge than those in form of wind. Thus, precipitation and lightning. This scenario brings new patterns of atmospheric developments in shape and location, and it will require to adjust models and interpretations over the scenarios unfolding. But even if it doesn’t, the public should not lose site of the threat potential associated with it as a strong tropical storm or weak hurricane. The word “hurricane” likely generates an additional “buzz,” but in this case the impacts are clear irrespective of what we call the storm. And as usual the “unsung” threat is water. 1-3 day rainfall totals forecast from Hermine. Source: National Hurricane Center. Like many of you, I will continue to watch coverage of Hermine. And while the “wind” aspect of the storm often gets top-billing and is more telegenic, keep this information about excessive water in mind. I think the recent flooding in Louisiana is a poignant reminder of water’s destructive power. Oh, I should also note that some forecast models are trying to stall Hermine off the Northeast coast of the United States early next week which could lead to a coastal flooding and rainfall threat in that region too. It certainly looks the 99L-to-Hermine legend might continue to grow. Update on Hermine from the National Hurricane Center as of 5 am Thursday September 1st. The aim of publishing my work openly is to allow for it to be exposed for an open review. So any constructive feedback is welcome. After a period of time of at least a month from the publishing date on this blog and at LinkedIn, if no comments are found refuting the value of the piece published I then publish it at ResearchGate generating a DOI for posterior references. If you find that my work is worthy to be acknowledged, share your thoughts openly and publicly because by sharing public acknowledging over the value of my work is what will help me in order to find the attention from those able to allow me access to a job position or resources to increase the functionality of my research. Since October 2013 I have been studying the behaviour of the Polar Jet Stream and the weather events associated as well as the implications derived into atmospheric dynamics and environmental synergies. Many of the atmospheric configurations and weather and climate events we see these days are very similar with the progression followed since 2013. Please take a look at posts addressing those events from previous publications in this blog or look at the categories in the top menu. Also at research-gate. Feedback is always welcomed either in this blog or at my email (d.fdezsevilla(at)gmail.com). All my work is part of my Intellectual Portfolio, registered under Creative Commons Attribution-NonCommercial 4.0 International License, WordPress.com license and it is being implemented at my profile in researchgate. I will fight for its recognition in case of misuse. More assessments presenting chronologically the line of research published in this blog can be accessed in the category Framework and Timeline. This entry was posted in Aerobiology, Aerosols, Air, Biological productivity, Energy Balance, Extreme climatic events, Filling in, Influence of Continentality, Polar vortex and Jet Stream, Solar activity, Water vapour and tagged anthropogenic climate change, Atmosphere, Climate, Climate change, Diego Fdez-Sevilla, environmental issues, Global warming, Jet Stream, North hemisphere, Scientific research, Solar activity, solar energy, Temperature, water, water vapour. Bookmark the permalink. I really hope that my assessments are considered as an useful contribution, either by the value of the work behind it or by helping to enhance the state of the debate over present and future developments. I am not about being the one in the right against the wrong. And I don´t want to push any agenda. Since I am in job searching mode, by exposing myself and my assessments in the open, I have more to loose than to win. Every CV talks about all the good things that somebody has achieved. As a researcher there are few moments more awkward than being corrected at a public event and these do not show in a CV. However, by publishing openly and regularly my assessments at LinkedIn and my blog I have committed myself through the last 4 years to undertake a process of constant exposure to scrutiny and criticism. If I am wrong and things are other way different from what I shared in my assessments and point of view I would feel relieved. I do not think that anybody enjoys being right about things which might go wrong. If anything, I would be proud of myself if I am able to bring meaningful value into the state of the debate through my input. From there, I would be happy if the work behind publishing this blog and at LinkedIn can showcase my capacities to find an opportunity to work as a team member in any project, or to find funding to extend the line of research presented here within a team having access to resources and the participation of more profiles. This work is not part of scientific journals because without being a member of an institution it is very difficult to publish in scientific journals (status and economically). At the same time, since through my career I have performed more lab development than scientific publications, my CV does not have enough publications in scientific journals, failing in one requisite which is part of most selection processes to become a member of an institution. If you are a member of the scientific community and you put the credibility of a publication in the scientific value attributed by a reviewer, you just need to think as one in order to find the value in my publications and give it credit when you use it influencing yours. Building credibility over my work is the strongest option which might overcome the lack of peer review publications in my CV. I have seen some activity in the social buttons coming from LinkedIn but I don´t have any reference about the source of it or the group/s from which is coming from. Pingback: The True Meaning of Things (by Diego Fdez-Sevilla , PhD.) | diego fdez-sevilla, PhD. Pingback: Summer is what summer brings (by Diego Fdez-Sevilla, PhD) | diego fdez-sevilla, PhD. Pingback: In Climate, Too Many Strange Things Are Happening (by Diego Fdez-Sevilla, PhD) | diego fdez-sevilla, PhD. Pingback: Solar Forcing in Our Climatic and Atmospheric Dynamics. Location, Location, Location (by Diego Fdez-Sevilla, Ph.D.) | diego fdez-sevilla, PhD. Pingback: Climate and weather December 2015. Another Polar Vortex another Heat Wave? (by Diego Fdez-Sevilla, PhD.) | Diego Fdez-Sevilla, PhD. Pingback: Forecasting Past Events In Atmospheric Dynamics (by Diego Fdez-Sevilla, Ph.D.) | Diego Fdez-Sevilla, PhD. Pingback: A conversation between Joaquin and Matthew (by Diego Fdez-Sevilla, PhD.) | Diego Fdez-Sevilla, PhD. Pingback: Global Mixing in Atmospheric Dynamics (by Diego Fdez-Sevilla Ph.D.) | Diego Fdez-Sevilla, PhD. Pingback: From Juno and Jonas to Janet (By Diego Fdez-Sevilla, Ph.D.) | Diego Fdez-Sevilla, PhD. 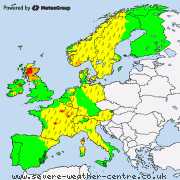 Pingback: Forecast Unusual (by Diego Fdez-Sevilla PhD) | Diego Fdez-Sevilla, PhD. Pingback: The Polar Vortex breaks again in the North Hemisphere 22 Nov 2014. (by Diego Fdez-Sevilla, PhD.) | Diego Fdez-Sevilla, PhD. Pingback: Atmospheric Thermal Conductance (by Diego Fdez-Sevilla, PhD) | Diego Fdez-Sevilla, PhD. Pingback: Just Thinking on Climate (by Diego Fdez-Sevilla, PhD) | Diego Fdez-Sevilla, PhD. Pingback: “The Answer to the Ultimate Question of Life, the Universe, and Everything” is … 42 (by Diego Fdez-Sevilla, PhD) | Diego Fdez-Sevilla, PhD. Pingback: RECAP 9Dec16 on previous assessments (by Diego Fdez-Sevilla, PhD) | Diego Fdez-Sevilla, PhD. Pingback: Wind conditions 250 hPa Jet Stream. What a Mess. (by Diego Fdez-Sevilla PhD) | Diego Fdez-Sevilla, PhD. Pingback: Worst than a change is a pattern of no change ( by Diego Fdez-Sevilla, PhD) | Diego Fdez-Sevilla, PhD. Pingback: Orbital Melting vs Kinetic Melting (by Diego Fdez-Sevilla, PhD) | Diego Fdez-Sevilla, PhD. Pingback: The value of having a point of view (by Diego Fdez-Sevilla PhD) | Diego Fdez-Sevilla, PhD. Pingback: Temp Displacements. Solid Water In A Dessert Which Is Not At The Poles. (By Diego Fdez-Sevilla, PhD) | Diego Fdez-Sevilla, PhD. Pingback: Breaking Stereotypes Assessing Climatic Dynamics (by Diego Fdez-Sevilla PhD) | Diego Fdez-Sevilla, PhD.